The fifth “Forum Junge Spitzenforscher” will take place on 22 November 2018. 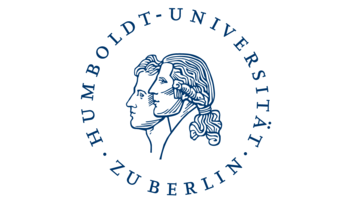 The competition is organised by Stiftung Industrieforschung and Humboldt-Innovation and is aimed at young researchers in Berlin. The goal is to find practical ideas from innovative fundamental research in the field of mobility. The six most promising submissions will be presented on 22 November infront of a distinguished jury of experts. In addition to the opportunity to obtain practice-relevant feedback and network with practice partners, the three first-placed presentations will each receive EUR 10,000 in prize money and places 4-6 will each receive EUR 2,000. This year, the six finalists also have the opportunity to apply for one of three validation grants of up to EUR 50,000 each. The funding is provided by the Berlin Senate Department for Economics, Energy and Public Enterprises with the aim of putting the results into practice. With these means the winners of the competition can close the utilisation gap for innovations from research. Further details will be announced at the event on 22.11.2018. The event will be held mainly in German. Key Note: Der Traum vom autonomen Fahren und der Traum von der lebenswerten Stadt – Auto-Mobilität als Chance betrachten? We are pleased to welcome the jury: Marius Baader (Verband der Automobilindustrie e.V. ), Dr. Carsta Herpich (BVG), Jan Michael Hess (Ecosummit Ventures), Lutz Hübner (Berlin Partner für Wirtschaft und Technologie), Martin Schön (Bombardier Transportation GmbH), Onno Szillis (Deutsche Bahn – DB mindbox). What Does Mobility Mean in Science? Traffic & Transport, Digitisation, Internet of Things, Public & Private Health, Passenger Service, Inclusion, etc. This year the focus is on “mobility”. Mobility has become a megatrend in our society and the engine to a globalised world. Participation is possible as an individual and as a team. For the fifth time now, the Stiftung Industrieforschung and Humboldt-Innovation GmbH are hosting the “Forum Junge Spitzenforscher”. This year for the first time, the event will be organised in cooperation with the three major Berlin universities; Freie Universität Berlin, Humboldt-Universität zu Berlin and Technische Universität Berlin as well as Charité Universitätsmedizin Berlin.